I hate to lose. And I like people who hate to lose. I hate losing more than I enjoy winning (and I enjoy winning). I’ve learned that one key commonality of great athletes, sales professionals and businesspeople is that they HATE to lose. I bring this up with the recent behavior of Bill Belichick, who refused to grant a 45 second interview to a CBS reporter, following the Patriots loss to the Ravens in the AFC Championship. Belichick’s behavior has been universally panned. He’s been called a sore loser, arrogant and worse. And while I certainly don’t condone his behavior, I admit I empathize with it. No coach who's experienced as much success as Belichick is a good loser. Their determination and competitiveness is what fuels their greatness. But what of all those coaches who seem like good losers after big defeats? They're just better at faking it. 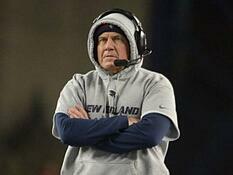 Bill Belichick is an ornery, often arrogant personality. He’s also an innovator with an undisputable record of success. And (while this probably won’t win me any fans) I must admit that I respect his actions just a little bit. When a salesperson loses a sale they believed they should have had, I want to see them angry and upset. I certainly don’t want to see them laughing and asking when happy hour starts. When a business fails to achieve its goals for the quarter, I want a CEO who is pissed; not one who’s hanging out and treating it as business as usual. While it’s not a popular sentiment, it is this very non-social, unbalanced reaction to losing that pushes one to work a little smarter, try a little harder and to find new ways to break through. So, yeah, Bill Belichick is a sore loser, but he’d also be one helluva salesperson.